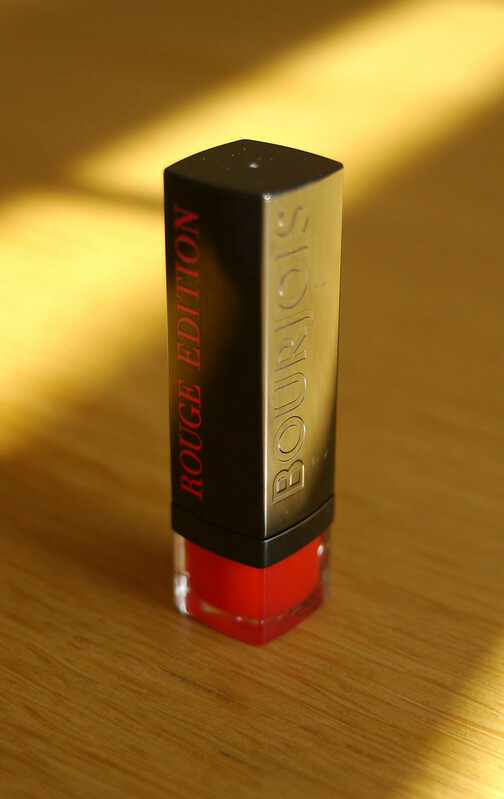 If you're in any way into reading beauty blogs, you've probably already heard of the Bourjois Rouge Edition range of lipsticks. I was curious about them mainly because the only Bourjois lip products I've tried in the past are their Effet 3D lip glosses which I really love because they are so silky to wear and smell incredible. 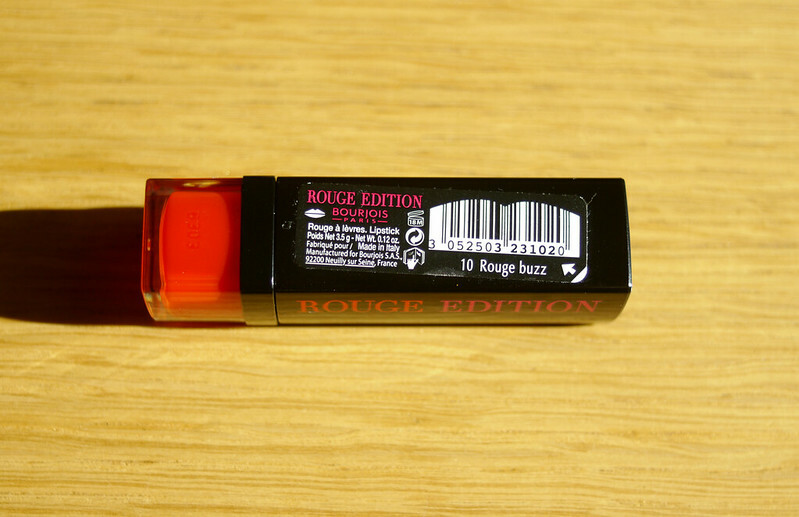 I haven't been buying make up for the past couple of months but I had accrued a lot of Boots Advantage Card points and decided to treat myself to shade 10 Rouge Buzz as I don't have any orange red shades in my collection. I wasn't that pushed to try these out until I saw this colour and I thought it would be worth adding to my collection. The colour range is great, with 18 shades in total, including some gorgeous pinks and corals. 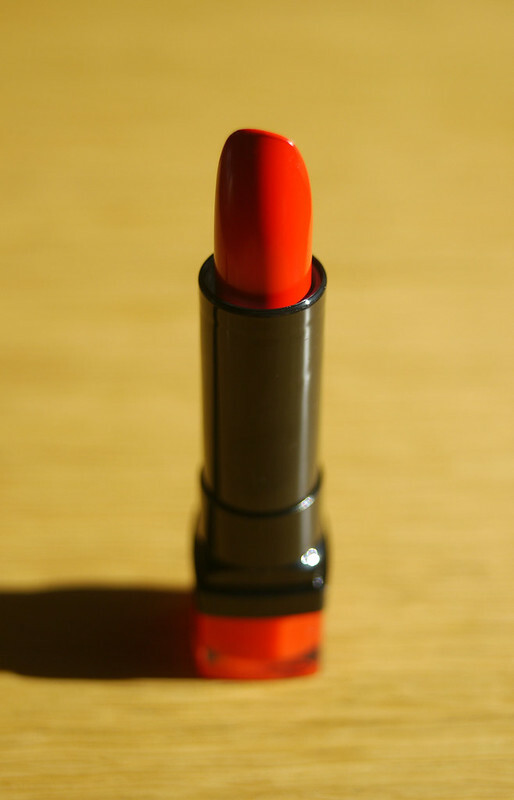 The closest shade I can compare this to is MAC's Lady Danger which I don't have but have wanted to try out for a while now. It's a much more orange based red than the likes of my Russian Red. The formula of these lipsticks is creamy and smooth, comparable to that of my beloved Revlon Super Lustrous lipsticks. They are also enriched with Orchid Blossom Extract which after some research, seems to be used for it's anti-ageing, antioxidant and anti-inflammatory properties. They are supposed to leave the lips smooth, hydrated and protected for up to 10 hours. I definitely don't need my lipstick to last 10 hours but I do find this lasts quite well, not as good as my matte finish ones but still good for a creamy textured lipstick and without lip liner. Overall I'm very impressed these lipsticks, they are priced at €10.99, so a little less than Revlon but a bit more than Rimmel. The packaged isn't anything amazing but it's sturdy and practical and I do like how there is a little block of colour on the end. Bourjois are also releasing a Shine Edition collection next month with a more sheer formula of lipstick. What do you think? 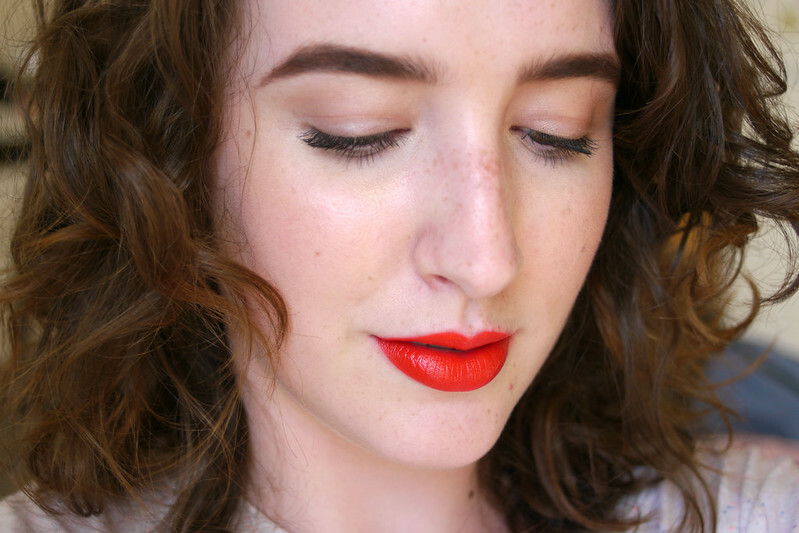 Have you bought any great lipsticks recently? PS. My little absence and added freckles can both be explained by the glorious weather we've had in Ireland over the past week. It's raining now though so I can finally get some blogging done and not feel like I'm missing out! Just saying hello, dear Emma, and admiring these latest head shots. Bright red shades always look great on your lips and all the makeup products you used for these pictures go together nicely. Beautiful! Good night to you and have a wonderful Wednesday, dear friend! Beautiful colour on you, really gorgeous! I'd love to know what you think, I'm sure you'd love these too! I agree, Strawberry Suede is probably the colour closest to this one in my collection. Got to love those boots points! Nice choice, the colour really suits you. Thank you Thelma, yes Boots points are amazing, such a nice treat! My friend Polly Bland introduced me to your blog and you are just BEAUTIFUL! 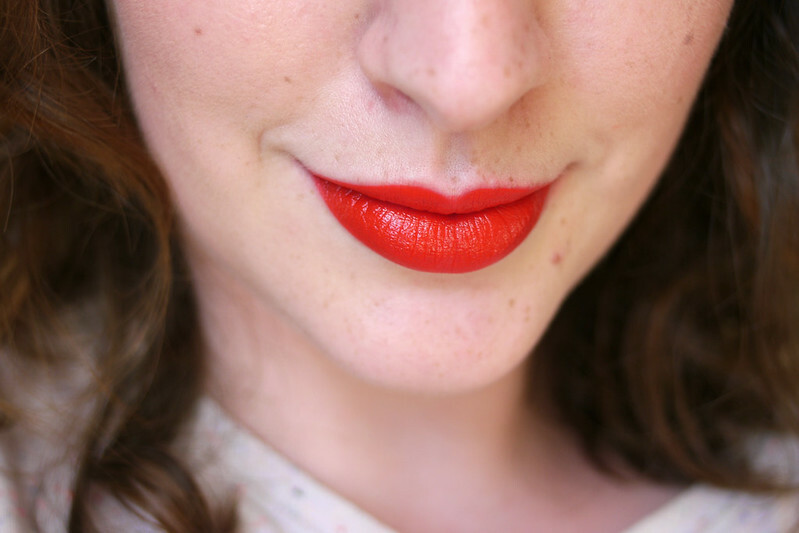 This lip color is sensational on you! You are stunning! Love this bright, true red on you. I've never tried Bourjois lip products but I'll need to check out the range if the formula is as good as you say.